Background: Depression and anxiety are two psychosocial illnesses that mostly are comorbid. The prevalence of these diseases is increasing worldwide. Both can affect general health also oral and dental health. The effects can be physiological and behavioral. Patients with these disorders are not willing to keep oral hygiene. 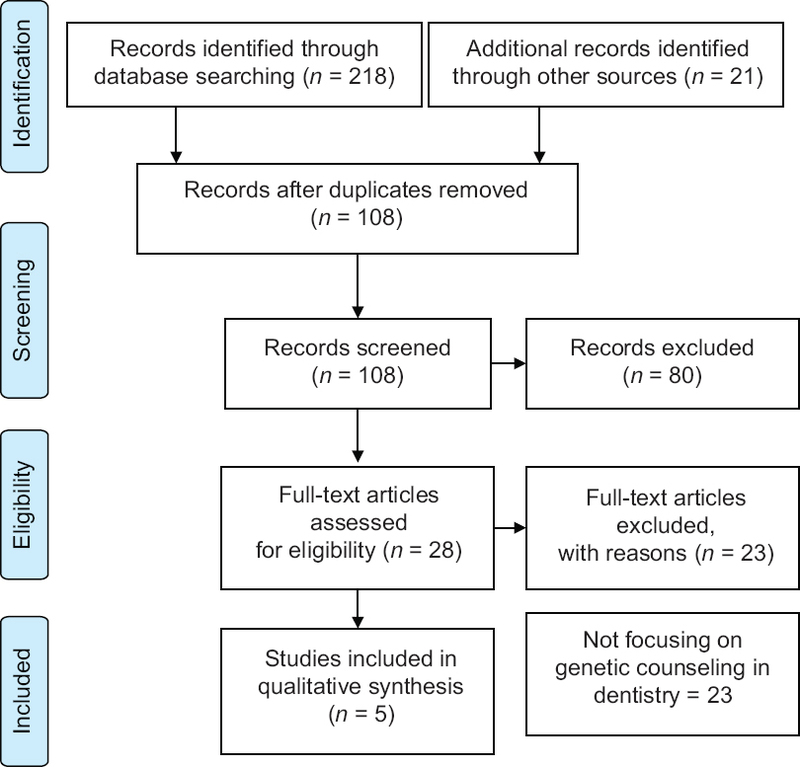 The purpose of this study was to investigate the association between depression/anxiety and oral health indices in the 15–75-year-old population of Kerman. 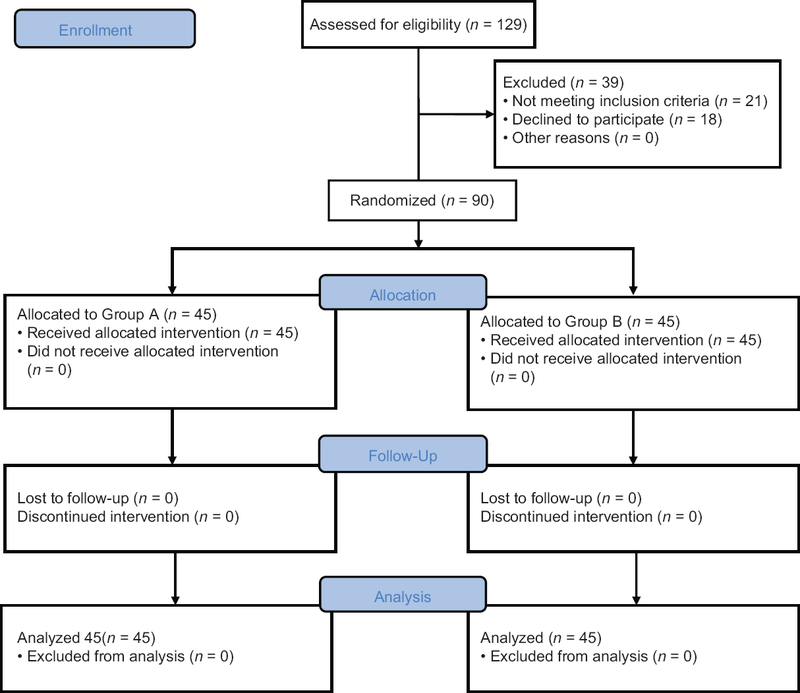 Materials and Methods: This cross-sectional study recruited 5900 people aged 15–75 years through one-stage cluster sampling (Kerman coronary artery disease risk factors study, KERCADRS). Data were collected through beck questionnaires for anxiety and depression and clinical examinations. Oral health indices including decayed, missing, filled teeth, gingival index (GI), and community periodontal index (CPI) were also measured. Data were analyzed by SPSS 21 software. Chi-square, t-test and regression analysis were used to determine the relationship between the variables. P ≤0.05 was considered as the level of statistical significance. Results: In the study, 1975 (33.6%) of patients showed moderate-to-severe anxiety and 3502 (59.5%) got the scores as depressed. There was a significant difference between GI and CPI indices of the normal and depressed group (P < 0.01), but the difference in the anxious and normal group was not statistically significant (P > 0.05). Conclusion: The results of the study showed a significant relationship between depression and oral health indices but not with anxiety. Therefore, the present study suggests that more attention should be paid to the oral health of people with a history of depression. Background: Recently, there has been an increasing growth in research on medical plant's effect on dental plaque bacteria. The aim of this study was to determine the antibacterial effects of Satureja hortensis extract and its essential oil (EO) on Streptococcus salivarius, Streptococcus sanguis, and Streptococcus mutans as important bacteria in early supragingival dental plaque formation. 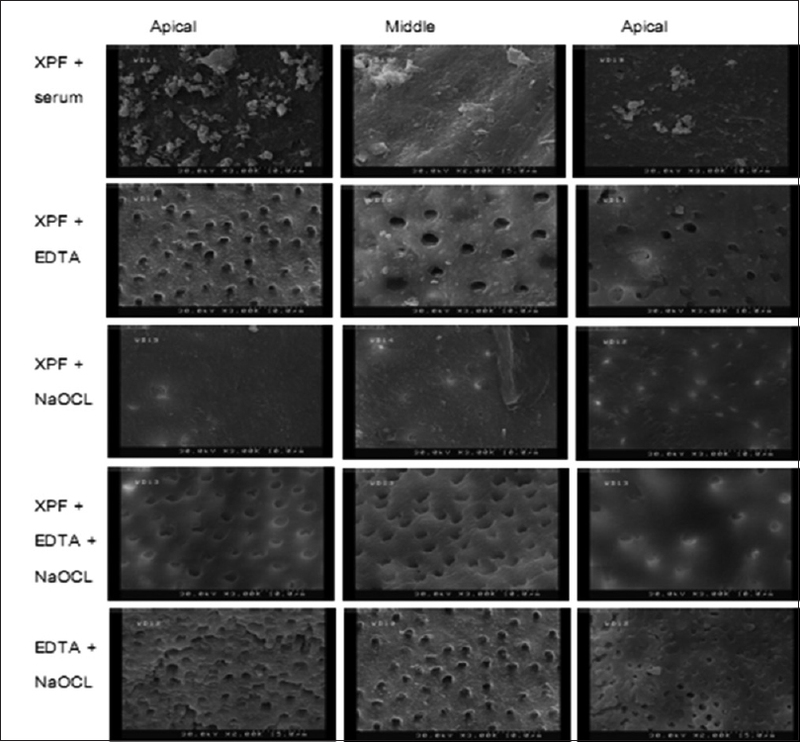 Materials and Methods: In this in vitro study, different concentrations of S. hortensis extract and its EO were prepared using double dilution method. 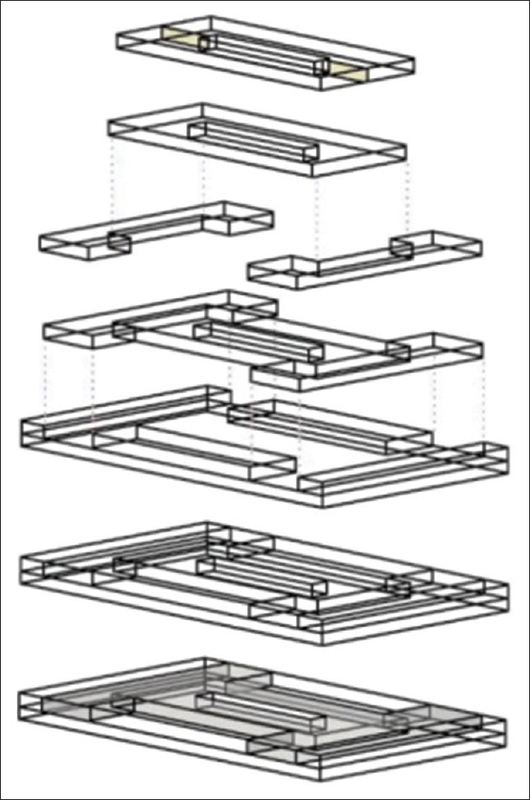 The disc diffusion method was used to determine antibacterial activity. Based on these measurements, the minimal inhibitory concentration value was reported for each bacterium. Antibiotics used as positive controls in this study were erythromycin (15 μg) and tetracycline (30 μg). t-test and ANOVA were used for statistical analysis (P < 0.05). Results: Aqueous and methanolic extract did not show significant antibacterial activity, but the EO significantly inhibited the growth of the test bacteria compared to positive control (P < 0.05). High concentrations of EO processed greater antimicrobial effects against three oral bacteria than other low concentrations (P < 0.0001). For S. mutans, the inhibition effect of tetracycline 30 μg was similar with 50% (P = 0.789) and 25% (P = 0.158) dosages of the EO. For S. salivarius, the effect of tetracycline 30 μg was similar to 50% dosages of the EO (P = 0.122). For S. sanguis, the effect of erythromycin 15 μg was lower than 50% (P = 0.0006) and 25% (P = 0.003) dosages of the EO. The inhibition effects of all concentrations of EO were higher for S. sanguis. S. salivarius and S. sanguis are more sensitive than S. mutans to S. hortensis EO. Conclusion: Due to the strong antibacterial effect of S. hortensis EO on the oral bacteria growth, it can be served as herbal mouth rinse, while to confirm this antibacterial effect, further clinical studies are necessary. Background: Dentin hypersensitivity (DH) is a common problem characterized by a short, sharp pain. Reduction of dentin permeability by occluding dentin tubules is considered as a method for treating DH. Many substances are available to decrease hypersensitivity. The aim of this study is to evaluate the ability of three different remineralizing agents for occluding dentinal tubules in comparison with positive and negative controls. 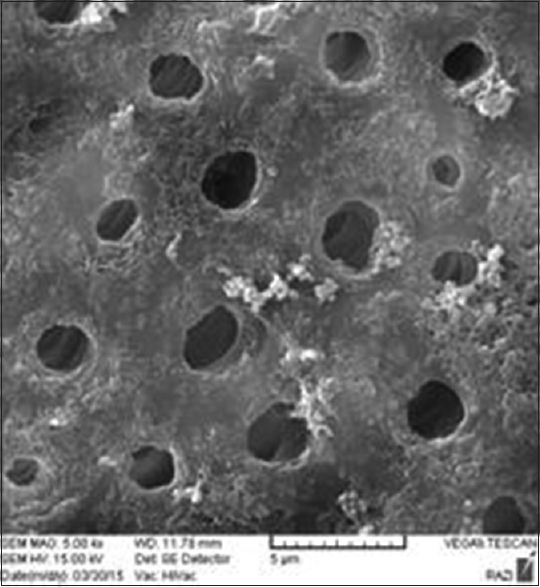 Materials and Methods: In this in vitro scanning electron microscopic (SEM) study, 75 extracted premolars were cut into crown and root fragments with a bur and divided into five groups: group 1: Sodium fluoride 5% varnish was applied (positive control), Group 2: No treatment (negative control), Group 3: Treated with Remin Pro (contains hydroxyapatite and fluoride), Group 4: Treated with MI paste (contains casein phosphopeptide-amorphous calcium phosphate [CPP-ACP]) and Group 5: Treated with GC tooth mousse (contains CPP-ACP). SEM images were obtained and mean tubular diameter was measured in each group. One-way ANOVA and Duncan's tests were used for statistical analysis. A significant level of α = 0.05 was set for comparison between the groups. Results: Statistically significant difference was observed between Group 2 (negative control) and other four groups (P < 0.05). There was no significant difference between Groups 1, 3, 4, and 5 (P > 0.05). Conclusion: Under the limitations of the present in vitro study, it can be concluded that the application of a CPP-ACP paste as well as a paste which contains fluoride is effective on reduction of dentin permeability. 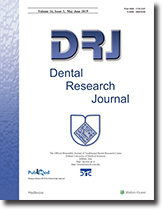 Background: The aim of this study was to evaluate the effect of ceramic material types, degree of veneer translucency, and luting cement shades on masking the underlying dark dental substrate to achieve best esthetics. 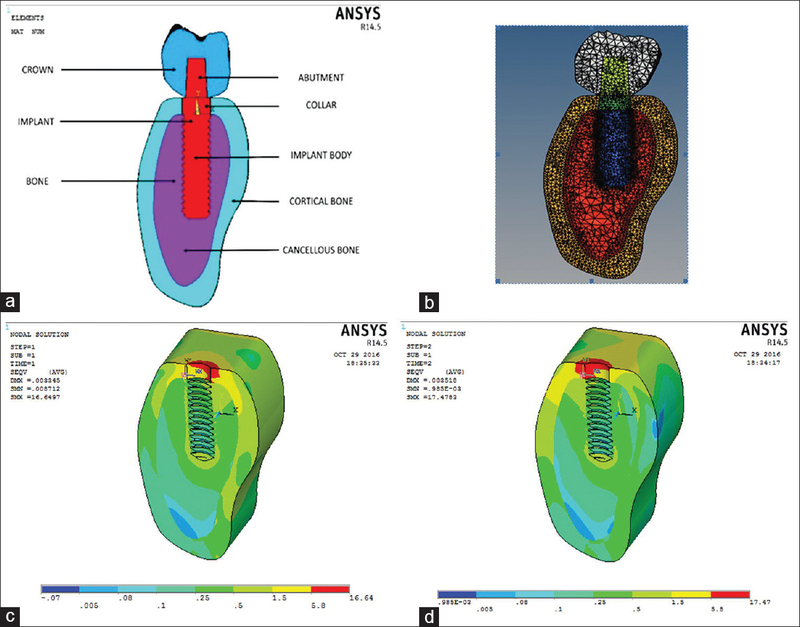 Materials and Methods: In this in vitro study, 56 specimens each of 0.5-mm thickness were fabricated from two esthetic veneer materials Vita Enamic and Vita Suprinity, with two different translucencies, i.e., HT and T. To simulate the color of a dark underlying dental structure, background discs with C3 shade were fabricated using resin composite. The ceramic specimens with varying translucencies were cemented on the dark background of the resin composite with A1 and opaque white shades of resin luting cement. Color difference (ΔE) values from a reference color (A1 shade) were calculated using a spectrophotometer. The results were then statistically analyzed using three-way ANOVA test (α = 0.05). Results: The ΔE values of both ceramic systems were affected by both the degree of veneer translucency (P = 0.00) and the luting agent shade (P = 0.016). 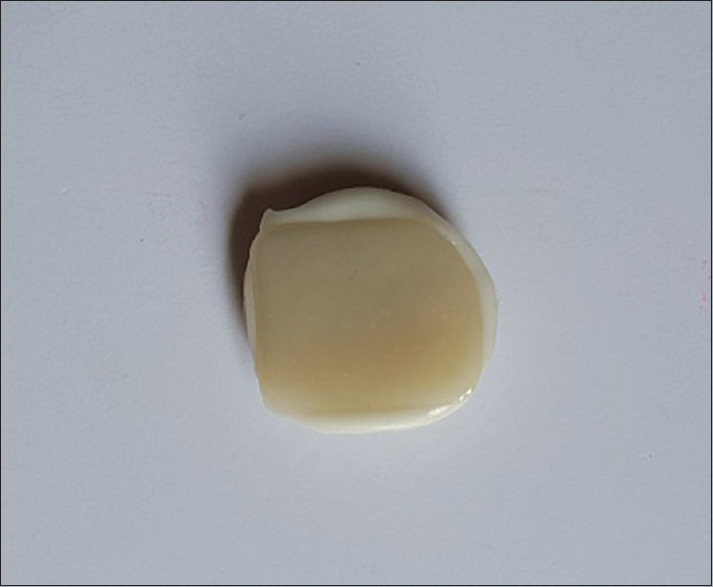 The use of an opaque luting agent and T translucency resulted in a decrease in the ΔE* values for all ceramics tested, regardless to the material type. Suprinity and Enamic showed similarity in the masking ability of dark substrate after cementation. Conclusion: None of the 0.5-mm veneers of the two ceramic systems could reach A1 shade without a detectable color difference after cementation. The change in degree of veneer translucency was more effective than the change in luting agent shade in masking the underlying dark substrate.